Both teams are on a 2-4 record going into this game. 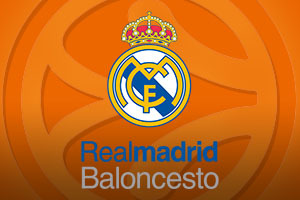 The hosts are bottom of the group while Madrid are sitting in fourth spot, the last qualification spot for the Top 16. 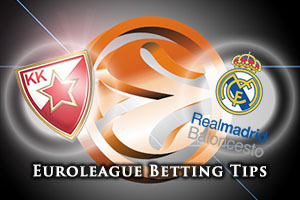 It would be almost unthinkable for the reigning Euroleague champions to fail to make it out of the regular season but a home win in this game could place Madrid at the foot of the table and closer to disaster. Quincy Miller is the key player for the home team at the moment and with 12 rebounds versus Strasbourg in their last outing, he makes his presence felt around the court. There is a need for players like Ryan Thompson, Nikola Rebic and Marako Guduric to be aggressive and get in the faces of their more illustrious opponents in this game. There is no reason why the Belgrade side cannot grab a win this season but they need to believe that they can. Given that Belgrade are one of the few teams who have lost to the reigning champions this season, they won’t want to become the first team to lose twice to Real Madrid. It is really hard to figure out why Real Madrid have been so rotten this season. A look at their squad indicates that they still have some fantastic players who should be doing better. However, they have managed to hive up more points than any other team, an average of 84.8 points per game and they allow more two point shows than other teams, 23.2 points per game. With players like Sergio Lull, Jaycee Carroll and Rudy Fernandez, Madrid should not be toiling but they also haven’t displayed any form this season that suggests you can be confident about them turning it around any point soon. The bookmakers make Madrid clear favourites for this one so it could be worth sticking with the home team at +8.5, and odds of 1.90, for this game. In the Over/Under market, look to go UNDER 157.5 at odds of 1.90. Bet Now!